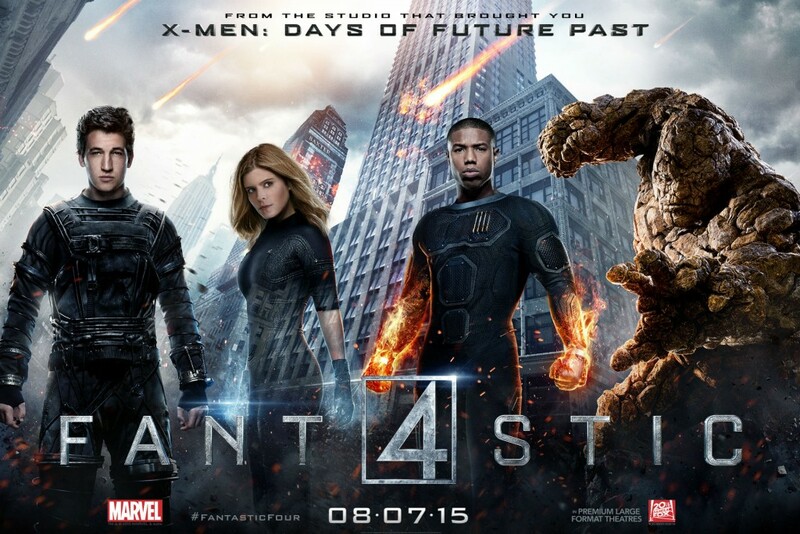 ‘Fantastic Four‘ has never really been my favorite superhero faction, but the movie might just pull me over the line. I’m already a big fan of Miles Teller from ‘Whiplash‘, I loved the performances in that film from Teller and especially J.K. Simmons. Teller plays Reed Richards better known as Mr. Fantastic next to Kate Mara’s Sue Storm or Invisible Woman. I became really familiar with Mara when she was in ‘House of Cards‘ and ‘American Horror Story‘, I thought she was a little wooden and predictable, but perhaps this film will change my opinion. Michael B. Jordan is Johnny Storm, super-persona is Human Torch while Jamie Bell plays Ben Grimm who then becomes The Thing. I actually remember Jordan from his first, and only, appearance in ‘The Sopranos‘ (OK, I just re-watched the series and recognized him), but it was ‘Friday Night Lights‘ that said this kid has got a future, so I’m excited to see how he handles the weight of being a superhero. Jamie Bell, was the titular character from ‘Billy Elliot’ and I was blown away then, playing Grimm brings it’s own set of challenges to the part and I’m eager to see his rendition. Hopefully, this reboot can’t be any worse than the first was. This entry was posted on Tuesday, July 14th, 2015 at 2:16 pm	and is filed under Comics, Events, Film, News. You can follow any responses to this entry through the RSS 2.0 feed. You can skip to the end and leave a response. Pinging is currently not allowed.